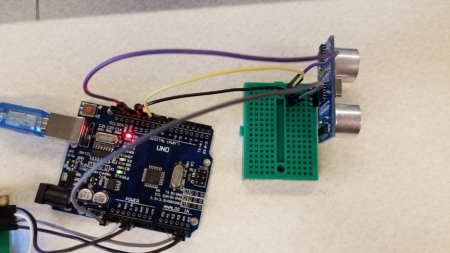 This week, we were introduced to the open-source platform Arduino and also learned more about building circuits with breadboards, LEDs, and resistors. 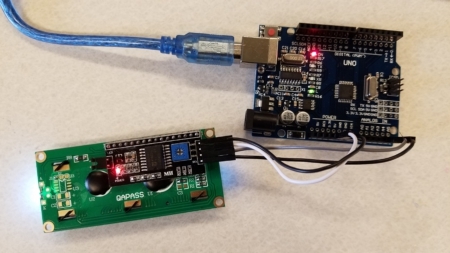 I was particularly looking forward to this particular assignment, because as a CS major, I already felt comfortable with the coding aspect of the project, but have never worked with Arduinos before so it still got to be a novel learning experience nonetheless. In lab we created a simple program to get an LED light blinking at various rates with the Arduino. I was able to get mine to blink “S.O.S.” in Morse code using some simple for-loops and varying the delay times between turning the LED on/off. Then, we were asked to create a storyboard and Arduino device on our own time using different input/output sensors besides the touch sensor and LED output used in lab. 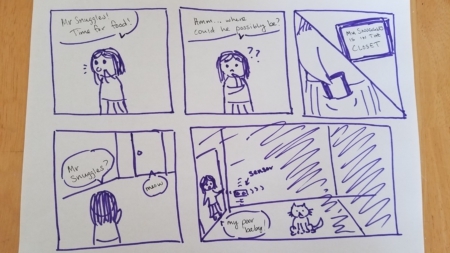 For this, I conceptualized an idea of utilizing a distance sensor that would keep track of my cat’s location and make sure she isn’t hiding in places she shouldn’t be. As a cat owner, I always find myself worried I’m going to accidentally lock my cat in a closet or room and be unable to find her later. So I thought maybe one way of combatting that would be to install an ultrasonic sensor in the back of a closet or in other areas where I think she might hide in, which would read her distance and if she’s within the range where she could potentially be inside the closet, it would alert me. One output device that could be used for the alerting is an LCD screen which could also display information about where she is exactly. Then, using the code from the tutorial with some minor adjustments to adapt to the devices I was using and writing my own custom messages (i.e. 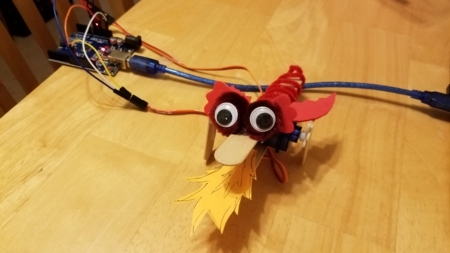 “[insert pet’s name] is [insert distance] away!”) to the display, I uploaded the code to the Arduino. 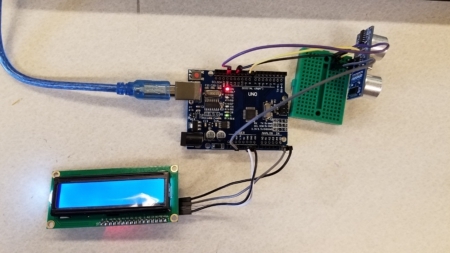 However, while it seemed like the ultrasonic sensor was working (the green LED on the Arduino was programmed so that it would blink faster if something moved closer to the sensor), and the LCD display was definitely connected as it was lit, text was not appearing on the screen. I did some online searching and it seemed like lots of people were saying it was either a hardware or jumper cable connection issue. Even after changing the jumper cables and LCD display, nothing was showing up. Another reason might be because the LCD screen was too bright. Unfortunately due to lack of time at the lab I could not troubleshoot further. To make this prototype more functional for the real world (granted I had gotten the original to work), I think having longer wires or even some sort of wireless system (if at all possible) would help make it easier for someone to be able to carry or view the LCD display without having to be close to the sensor. I also think that if someone wanted to check for their pet’s location in multiple areas of the house, being able to install and assign several sensors would be cool. 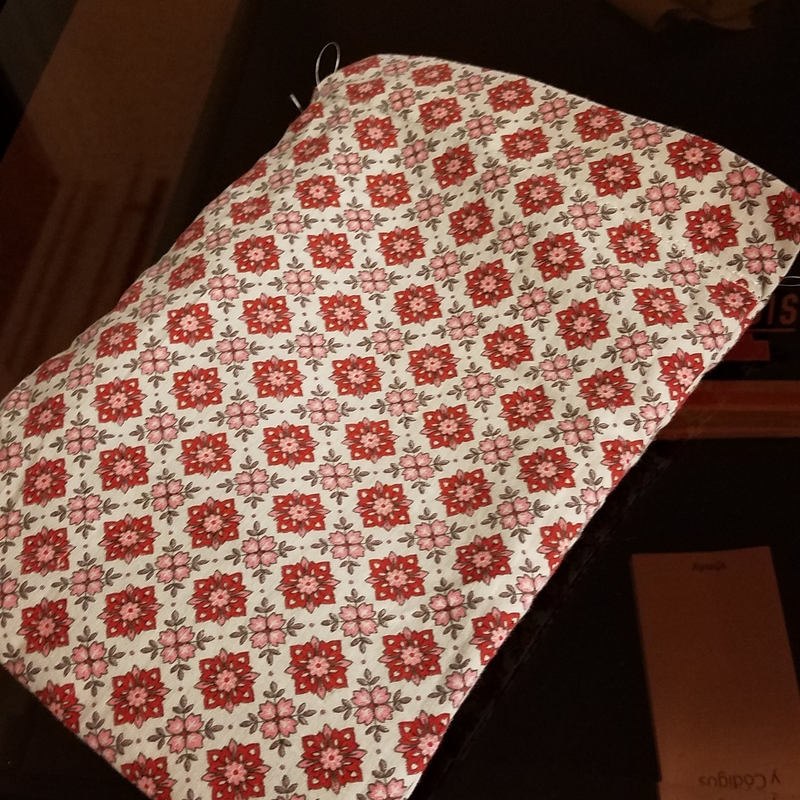 For this 2-week project, I became familiar with making embroidery and using a sewing machine – skills I only remember learning in a home economics class I took in middle school but never applying again until now. As an introduction to the sewing machines, our first assignment was a simply drawstring bag. 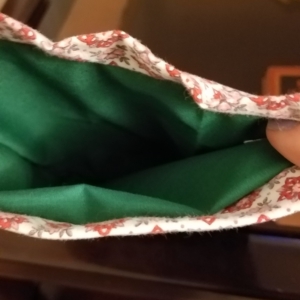 I used a patterned fabric to make up the outside of the bag while the inside was a solid color. The second assignment was an introduction to the embroidery component and creating embroidery patterns on our fabrics. 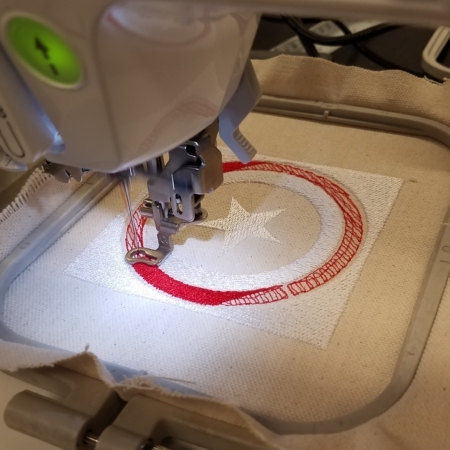 We chose simple, multi-colored images from the web and used Inkscape to prep the image to be embroidery-ready. Then we used a software called PEDesign to view the image as an embroidered object, and send it off to our sewing machine. For my image I chose the Captain America shield. However, due to time running out during lab, I did not quite get a chance to finish the embroidery. Our final assignment was one where we got to choose a pre-approved pattern to sew and embroider our own pattern on ourselves. I decided to go with the adorable Kitty Bean plushie, as I wanted to pick a fun pattern like a plushie but also choose something that seemed simple enough for even a beginner to accomplish. While the original pattern called to sew the face of the cat on yourself, I chose to embroider it instead. I used Inkscape to design simple blue eyes, a pink nose, and black whiskers for the cat. Embroidering was definitely the most challenging and, admittedly, frustrating part. 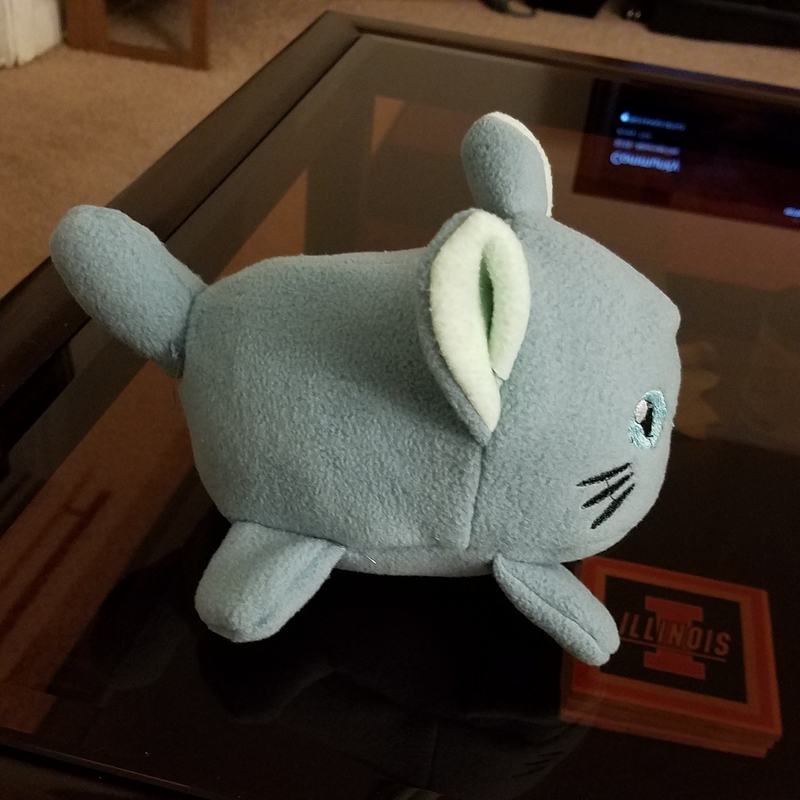 In my first attempt, I did not include a stabilizer with the fleece fabric I bought from Joann Fabrics for the cat’s body, thinking it would be thick enough to handle the machine itself. It certainly could not, and I ended up only jamming my machine early on. In my second attempt, I used stabilizer but for some reason the fleece still got caught under the quick movement on the machine, and it jammed again. My third attempt was finally successful. Once the embroidery part was finished, sewing the parts and body together felt more simple. However, I’m still no sewing expert, so it was slow-moving and ultimately the design did not turn out as perfect as the example pictures the instructions provide. Overall though, I’m still pretty happy with the result. She’s definitely not perfect, but being the novice I was (and still am), I’m proud of my creation despite its flaws. Despite some mild frustrations, this was still one of my favorite projects we’ve done so far, and definitely peaked my interest in sewing. 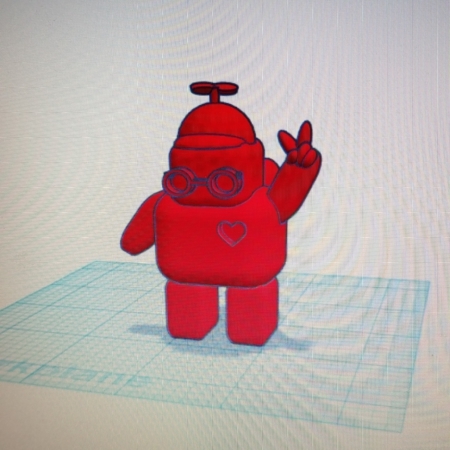 For this two-week project, we utilized TinkerCAD and Autodesk Meshmixer, as well as 3D scanning software, to build models we could then 3D print. The first week was dedicated to familiarizing ourselves with the different software, so I created a silly little alien model in TinkerCAD. 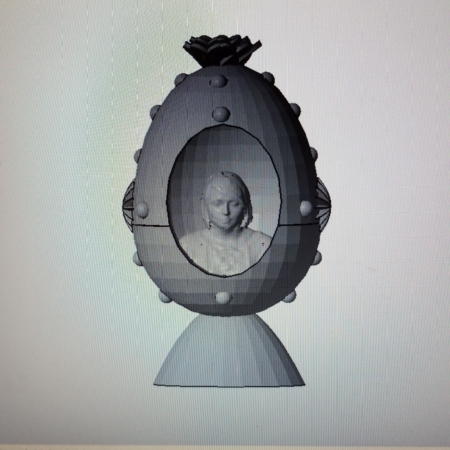 For the second week of this project, we learned how to use 3D scanning software to scan random objects and people. 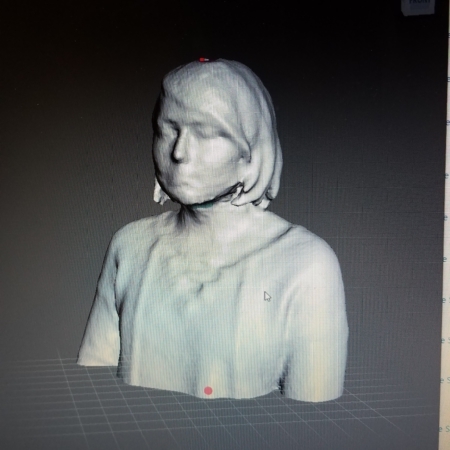 We each took turns scanning ourselves, then using Autodesk Meshmixer I was able to convert the 3D scan of myself into a model that could be ready for printing. The conversion included features in the software such as auto-fixing holes and other flaws in the scanned model and plane cutting. The third and final assignment was the most challenging part but fun to do. While we were given a variety of prompts to choose from, I chose the one where I selected a piece of traditional art from a culture I am a part of and made personal alterations to it that made it my own unique design. In a previous week’s assignment, I made a matryoshka doll (or Russian nesting doll) layered sticker to reflect my Russian heritage. This time I decided to continue extending off that identity but with a different piece of traditional Russian art: The Faberge egg. These are jeweled eggs that were once manufactured for the royal families during the Imperial Russia era. There is only a limited number that exists in the world and the ones that do are often viewed as a symbol of nobility. Because my family doesn’t own any Faberge eggs of our own (as we are far from royalty), I ended up designing and creating one completely from scratch. 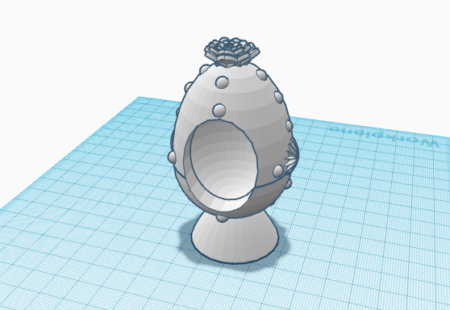 I first designed a decorative, hollow egg model in TinkerCAD which I then transferred into Meshmixer. Most Faberge eggs have some sort of small object or figure inside of them that you can open up or look inside the egg and see. 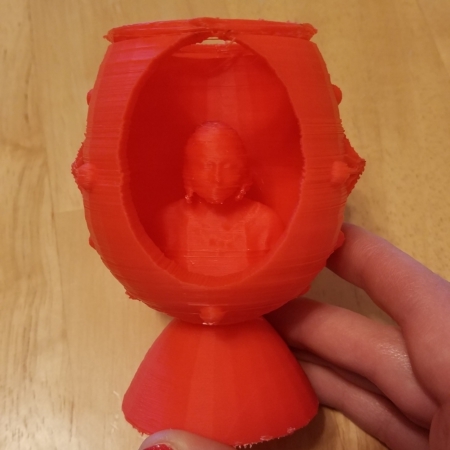 In my design, I used my 3D scanned model of myself as said figure and inserted it into the inside of the egg, which also helped satisfy the scanned object requirement. Unfortunately, when it came time to printing the final product, something must have gone wrong during the printing process as my model did not finish printing all the way through. If I had to change anything about this project, I probably would choose a much simpler and smaller design, because this definitely took way more time and effort than what was originally intended. The print itself took 10+ hours and as you can see, it did not even finish. 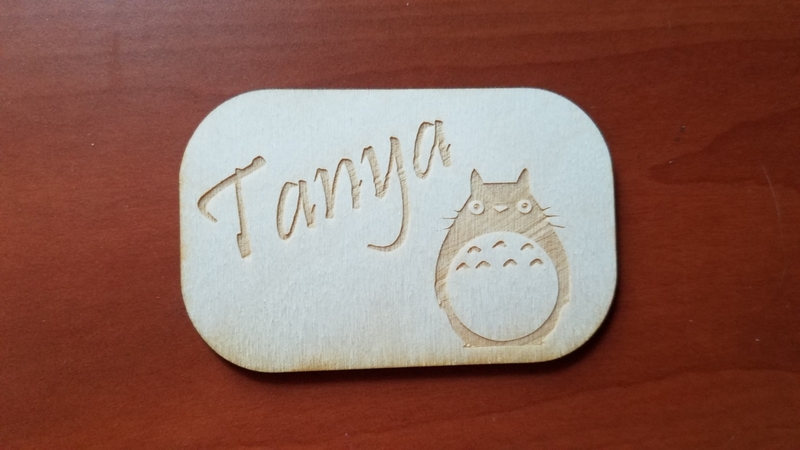 I definitely learned a good lesson that it’s better to start off with the basics rather than jumping the gun and trying to build a more complex design with 3D printing. 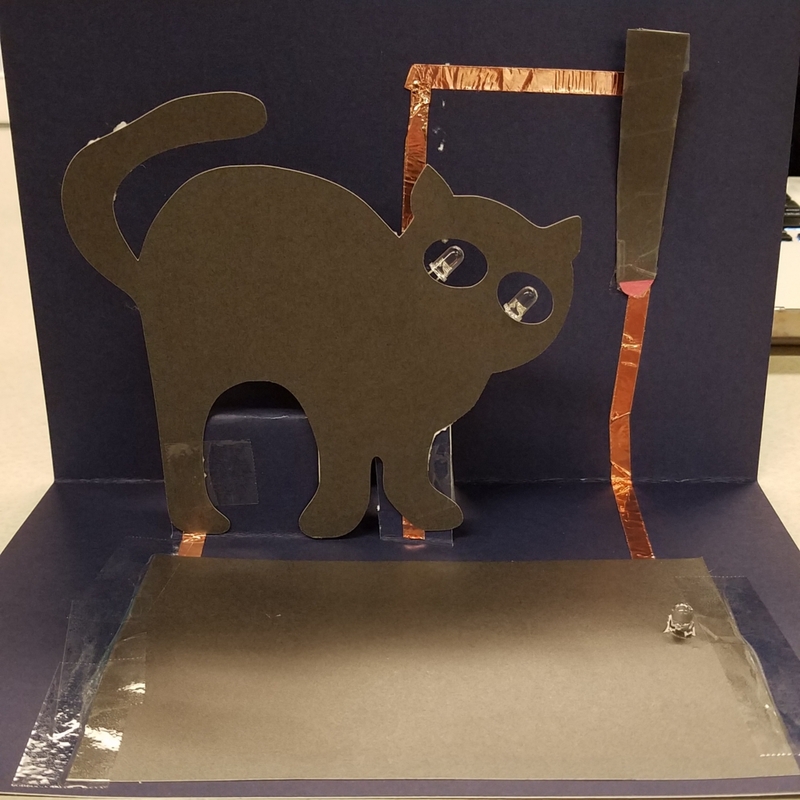 For this week, I created 3 different circuits of increasing difficulty using copper tape, 3 V batteries, LED lights of varying colors, and some basic paper crafting and circuitry knowledge. 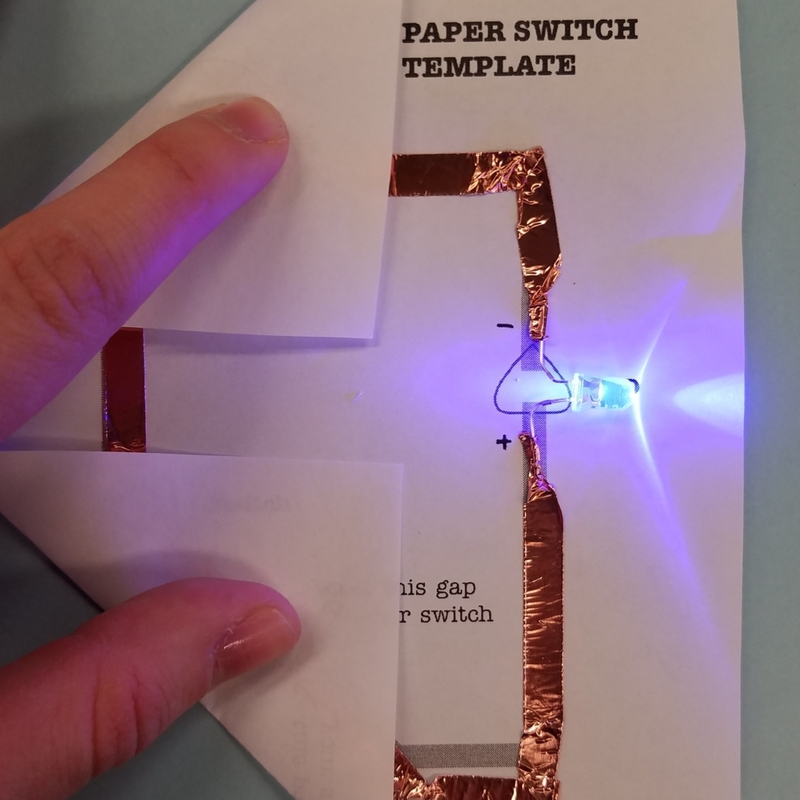 The first circuit was a very basic template consisting of one LED, one battery, and a switch. 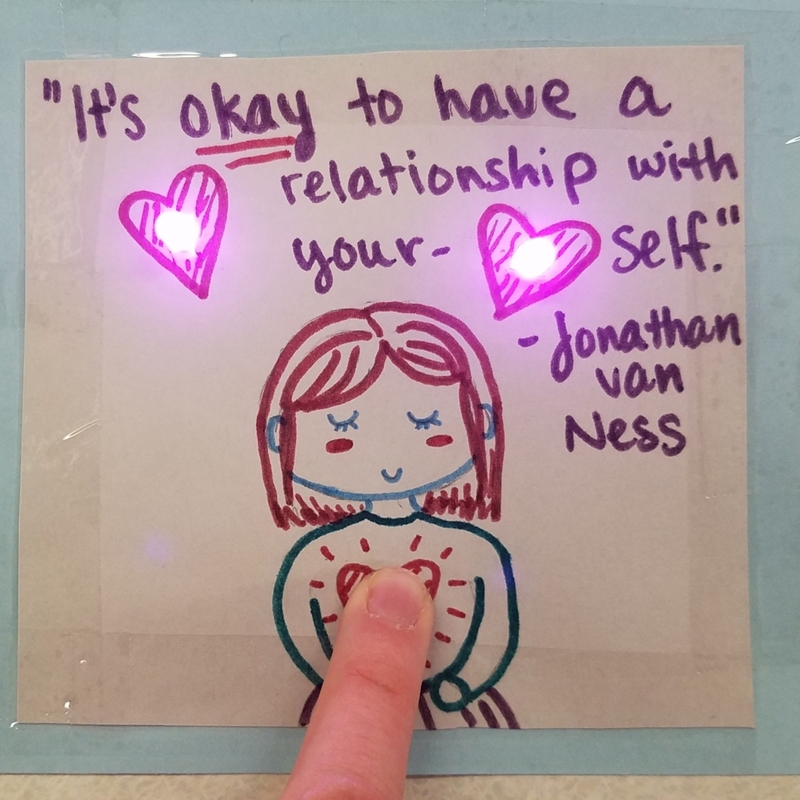 The second part of the assignment was to pick an inspirational quote and incorporate it into a circuit design that accompanies the quote. 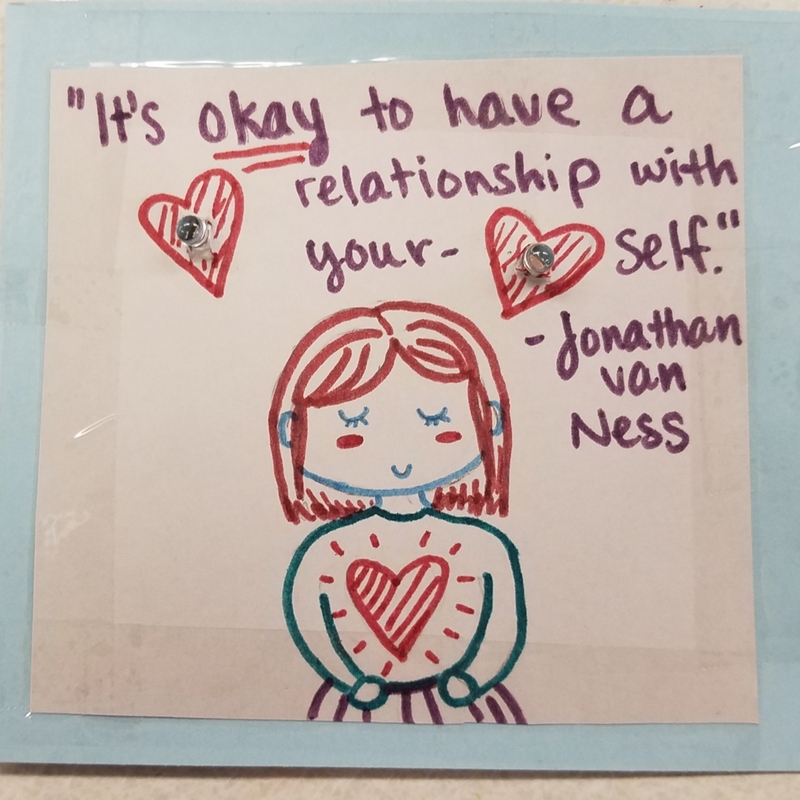 When thinking of quotes that inspired me, one of the first that came to mind was one by one of my favorite members of the Fab Five, Jonathan van Ness, from the show “Queer Eye”. The show, which is about 5 men of different professions coming in to help change peoples’ lives, often focuses its message around gaining self-confidence and practicing self-care. I couldn’t think of a very complicated way to incorporate the switch lights, so I settled with a rather simplistic approach where when you press down on the girl’s chest, where the switch is placed underneath, the two hearts above her head, two pink LED lights in series with two 3V batteries, light up. My third and final circuit was definitely the most challenging. The first challenge was simply coming up with an idea. I knew I wanted to create a pop-up card (as I have little to no origami experience), but as to what that could be was beyond me. 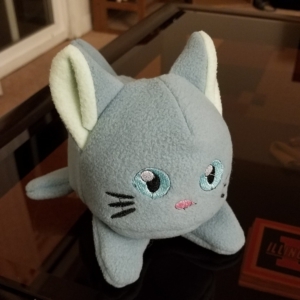 I ended up spending over an hour before going to the lab trying to come up with ideas, and ultimately the one I ended up with arrived totally by chance: while I was sitting in mine and my sister’s apartment thinking of what I could make, my sister started playing with our pet cat. Her favorite toy is the laser pointer so that’s what my sister used for her to chase around with. That almost immediately gave me the idea for my final product. 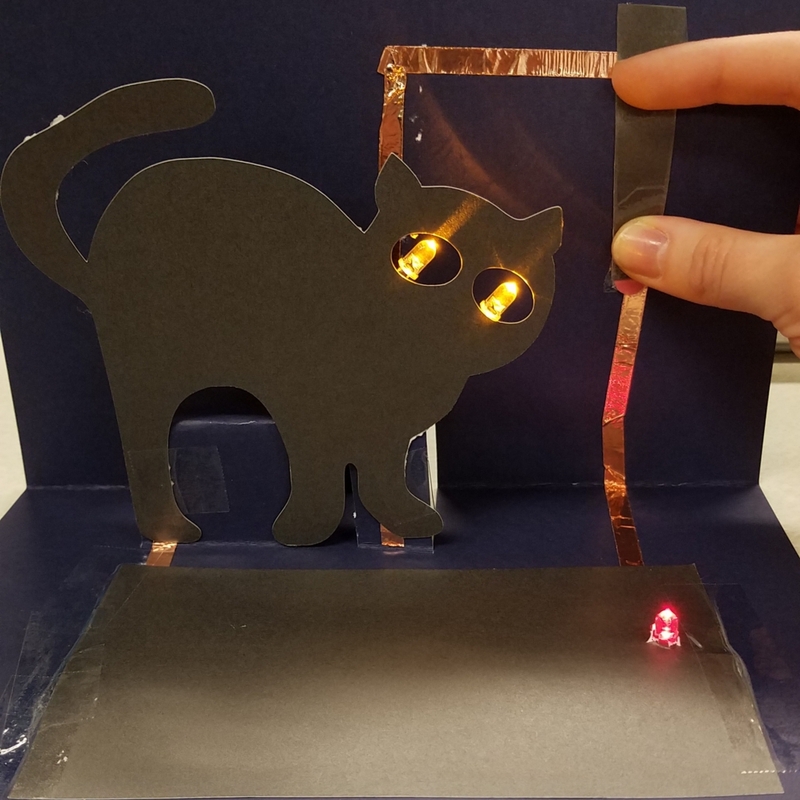 I used the silhouette cutter to cut out an outline of a gray cat, and put two yellow LED lights in each eye to convey the glowing eyes of a feline on the prowl. My third LED light was red and symbolized the small red dot that cats go so comically crazy for. That left the switch, which I had be the laser pointer itself. Getting the circuit to work and light up properly was definitely the most challenging part of this last milestone. I hoped that after taking a couple years of physics, building a series circuit with 3 LEDs and 2 batteries would be easy-peasy, so when I started implementing it into the card, I didn’t really plan or draw the schema ahead of time. That was admittedly a big mistake, because when things didn’t work I got a bit frustrated with myself and had to carefully undo a lot of the work in order to diagnose the problem. Luckily all I had to do was flip a reversed LED and replace some of the copper tape and it seemed to do the trick. 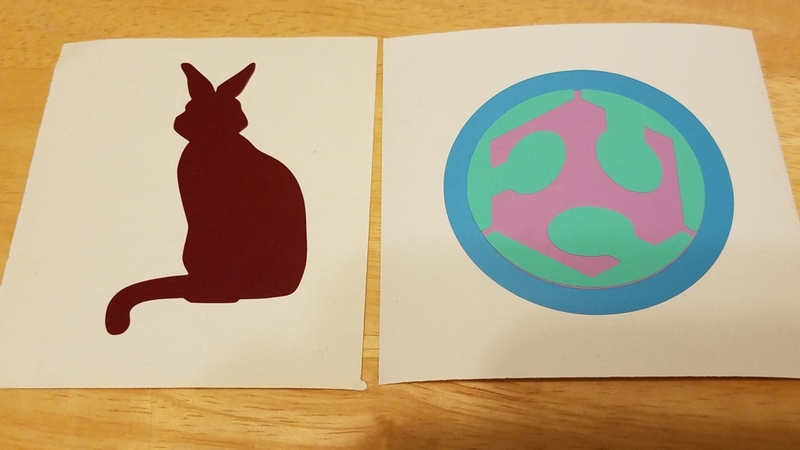 The first sticker I created during lab section was a combination of a bunny and a cat silhouette. The second is the CU Fab Lab logo, which consists of three layers that helped us practice creating multi-layered stickers. 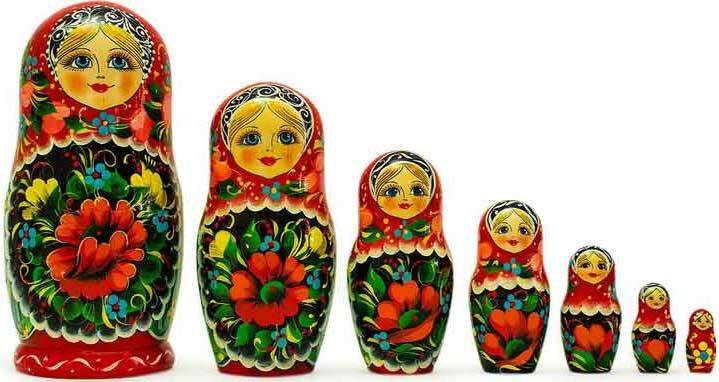 An example of Russian nesting dolls. The smaller doll fits inside the doll that is directly bigger in sequence. Layers! My version was not quite as complicated, and only consisted of one “layer” of matryoshka (even though in terms of material, it has 5). In terms of design, I initially did want to go a more complicated route, by adding several symbols to the matryoshka that I thought represented me (i.e. my favorite flower, which is a sunflower), but I was worried about wasting too much vinyl by creating many small pieces/symbols, so ultimately I went with only one symbol: grapes! 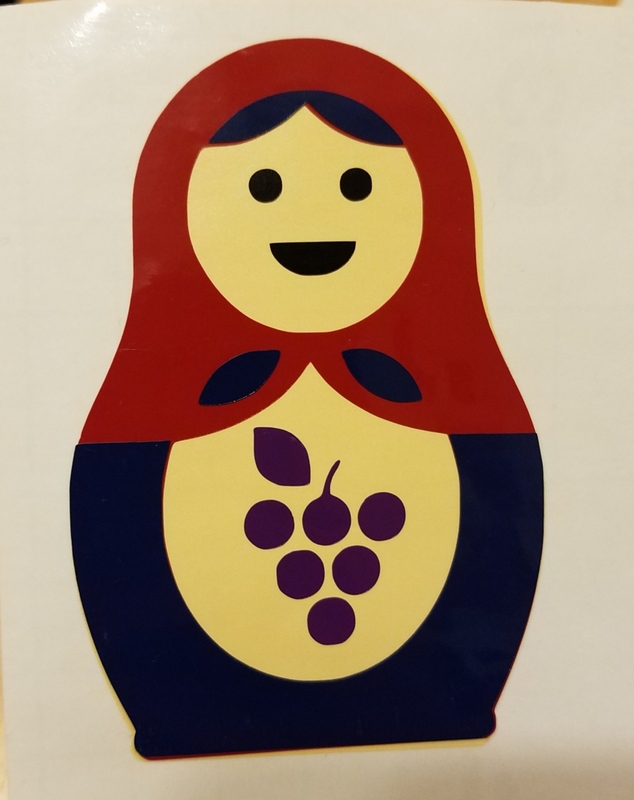 The reason I chose to add grapes to my matryoshka is because my last name, Vinogradov, is derived from the Russian word, vinograd, which means “grapes”. 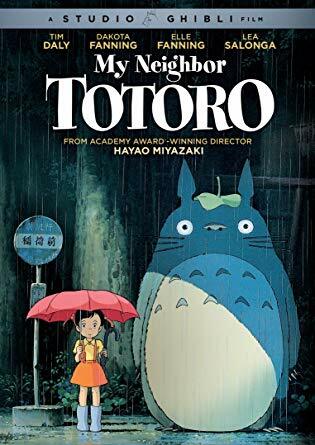 That way, I could complete the overall theme of my heritage by adding the very thing that quite literally makes up my family name. One challenge I faced during the design process was figuring out the order of layers. I originally wanted to have the red layer be over the blue layer, because naturally that’s how it would be on the real thing, but Inkscape for some reason wanted to keep creating the layers such that the blue fitted over red, so I ended up keeping it that way. I don’t think it makes a noticeable difference though. You also can’t really see it in the picture, but I liked that I used a glossier vinyl for the “clothing” of the doll (i.e. the headscarf, blue bottom, and the grape) and a duller version for the body and eyes because it helps accentuate those colors. 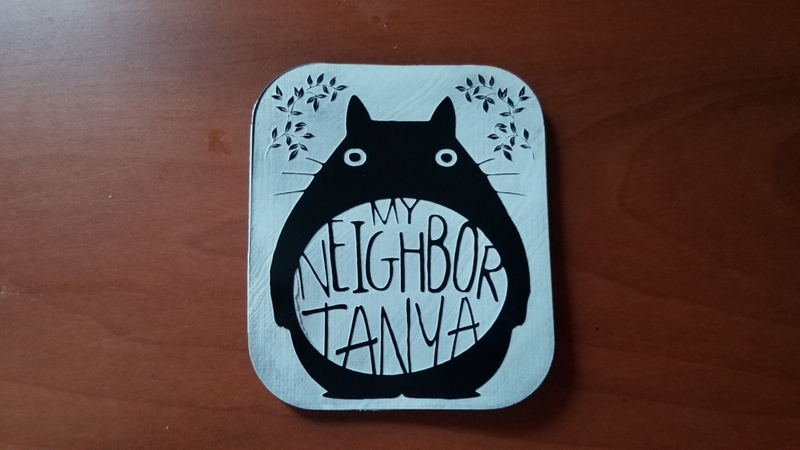 Overall, I’m happy with how it turned out and will probably put it on my laptop or somewhere close. For our storyboard, my group decided on creating a touch screen table that can be used at restaurants to order food. The idea is that restaurant goers can filter menu options based on certain dietary restrictions (in the case of this setting, one of the customers is gluten intolerant) and order their meal through the screen. I felt my first attempt at the storyboard did a pretty good job with describing the setting and satisfaction, however it lacked sequence. 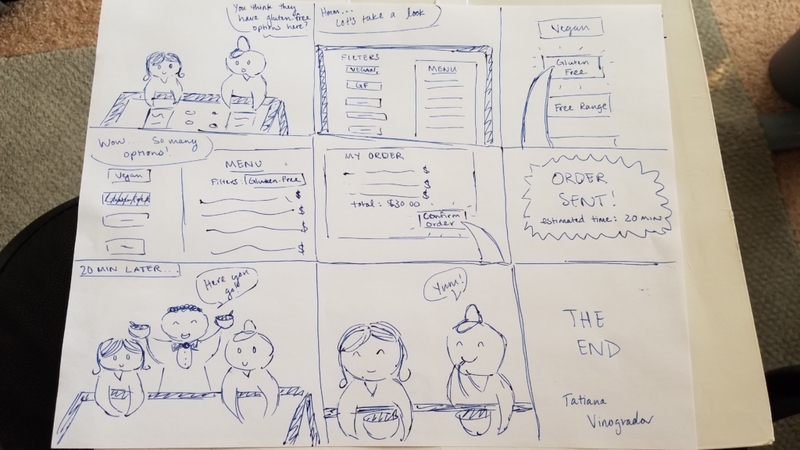 So in my second attempt (pictured below), I added a more detailed sequence of events to demonstrate the process of filtering and ordering food using this table technology.